Heesen Yachts has announced the sale of 50 metre Project Alba, with Arne Ploch at Camper & Nicholsons introducing the client. The sale marks the third new build contract for the Dutch shipyard this year. Project Alba was started before her purchase and is scheduled for delivery in January 2018. 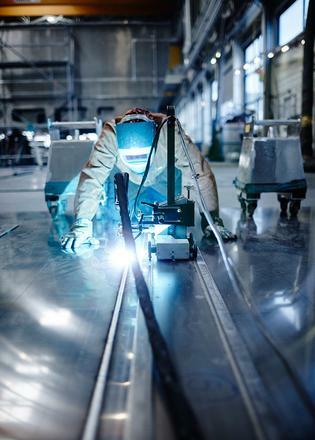 “By acquiring a yacht already under construction her new experienced owners have gained all the advantages of a new-build without the long lead-time,” the statement from Heesen explains. Project Alba’s distinctive profile was penned by Dutch studio Omega Architects and she features continuous sheets of triple laminated glazing that are thermo-bonded to the superstructure to create a seamless wall of windows. She has been created to combine “space, sportiness and elegance” and will feature an aluminum, hard-chine hull with engineering completed by Heesen’s in-house team. Project Alba has the largest volume of any yacht of her size while still delivering a top speed of 23 knots. Two power-to-weight ratio MTU 2,880kW engines will power her. The yacht marks the third collaboration between Heesen and Italian designer Francesco Paszkowski for this 50 metre semi-displacement class. Project Alba's interior features accommodation for twelve guests in six staterooms. The master suite will be located on the main deck forward with a full-beam bathroom including a separate shower and bathtub. The lower deck will feature a further four guests cabins all with en-suite shower rooms. A full beam VIP suite is located aft, with two doubles are amidships and two twins forward. "This new 50 metre combines contemporary aesthetics with a classic layout to reflect Heesen’s heritage” Paszkowski commented. “We played with contrasting colours, light and dark, and lacquered surfaces and finishes to further emphasise the airy brightness of the interior. Natural leather and stone were selected to create a warm and welcoming ambience and provide a coherent style throughout the yacht." 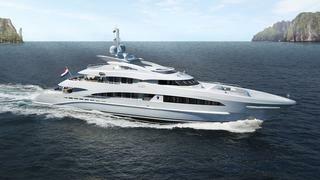 Project Alba will be constructed at Heesen’s shipyard in Oss.